For this set of pictures I was inspired by the work of Vladimir Dimitrov Maistora. In particular the period 1924-1951 during which he drew portraits of women depicting the pure, beautiful, mentally strong and hardworking Bulgarian woman from that time. I asked myself, is the modern Bulgarian woman the same? Does she have the same qualities that sparked Maistora’s interest? 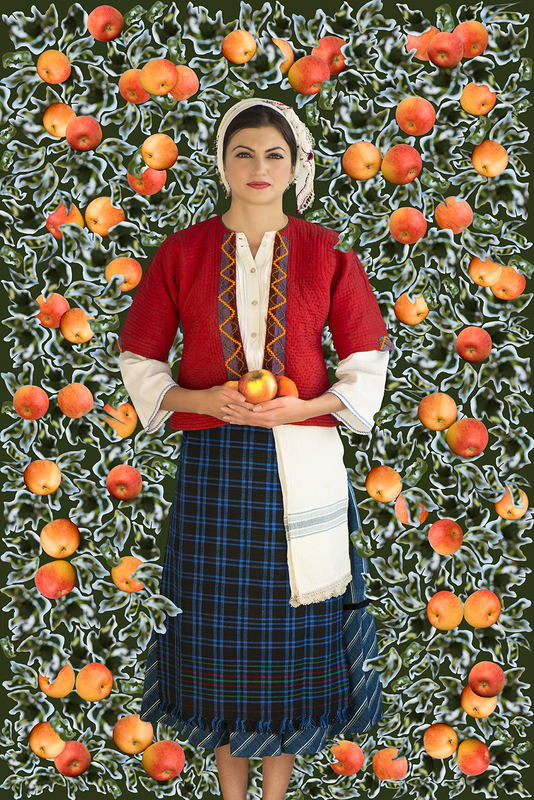 The answers to those questions inspired me to photograph modern day young women in a slightly unusual way – wearing traditional Bulgarian clothes like the ones worn by the women in Vladimir Dimitrov’s work. 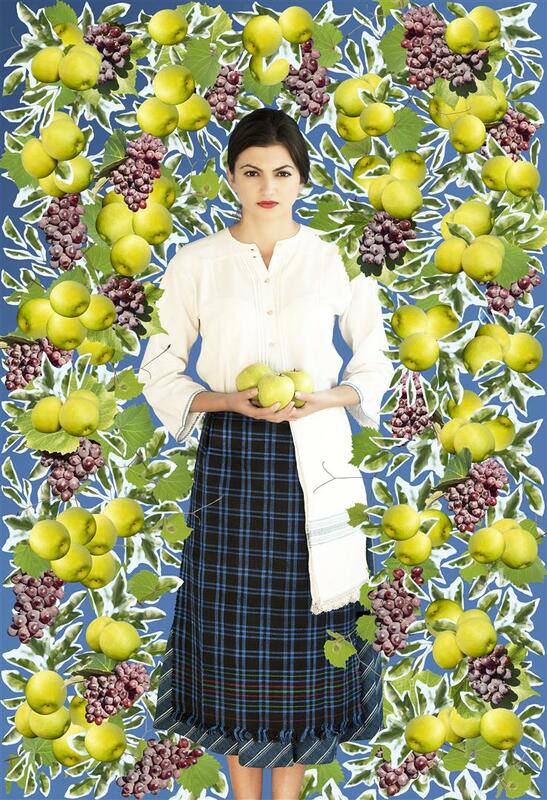 The women are surrounded by wheat, poppy, lavender and rose fields, amongst fruit trees and vineyards. It was as if their images merged with nature and time stood still. I used collage techniques to complete the background of every image. The autumn fruits symbolise the continuity of life harnessed by the power of the sun adding to the character of each portrait.